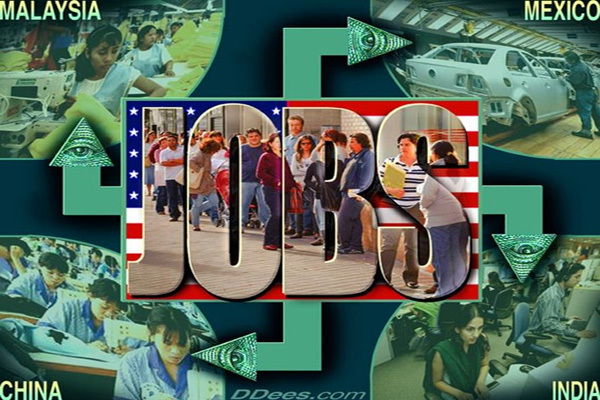 The level of employment in the United States has been declining since the year 2000. There have been moments when things have appeared to have been getting better for a short period of time, and then the decline has resumed. Thanks to the offshoring of millions of jobs, the replacement of millions of workers with technology and the overall weakness of the U.S. economy, the percentage of Americans that are actually working is significantly lower than it was when this century began. 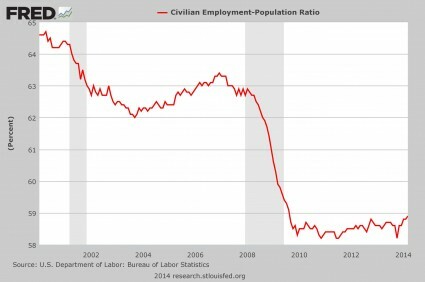 And even though things have stabilized at a reduced level over the past few years, it is only a matter of time until the next major wave of the economic collapse strikes and the employment level goes even lower. And the truth is that more good jobs are being lost every single day in America. For example, as you will read about below, Warren Buffett is shutting down a Fruit of the Loom factory in Kentucky and moving it to Honduras just so that he can make a little bit more money. We see this kind of betrayal over and over again, and it is absolutely ripping the middle class of America to shreds. We should be thankful that things have stabilized at this lower level for the past few years. At least things have not been getting worse. But anyone that believes that “things have returned to normal” is just being delusional. Clothing company Fruit of the Loom announced Thursday that it will permanently close its plant in Jamestown and lay off all 600 employees by the end of the year. The Jamestown plant is the last Fruit of the Loom plant in a state where the company had once been a manufacturing titan second only to General Electric. The company, owned by Warren Buffett’s Berkshire Hathaway but headquartered in Bowling Green, said the move is “part of the company’s ongoing efforts to align its global supply chain” and will allow the company to better use its existing investments to provide products cheaper and faster. The company said it is moving the plant’s textile operations to Honduras to save money. So what are those workers supposed to do? The number of Americans that are dependent on the government is already at an all-time record high. And doesn’t Warren Buffett already have enough money? In business school, they teach you that the sole responsibility of a corporation is to maximize wealth for the shareholders. And so when business students get out into “the real world”, that is how they behave. But the truth is that corporations have a responsibility to treat their workers, their customers and the communities in which they operate well. This responsibility exists whether corporate executives want to admit it or not. And we all have a responsibility to our fellow citizens. When we stand aside and do nothing as millions of good paying American jobs are shipped overseas so that the “one world economic agenda” can be advanced and so that men like Warren Buffett can stuff their pockets just a little bit more, we are failing our fellow countrymen. Of course this kind of thing is not just happening to Detroit. The truth is that it is happening all over the nation. For example, this article contains an incredible graphic which shows how the middle class of Chicago has steadily disappeared over the past several decades. Once again, even though we have never had a “recovery”, it is a good thing that things have at least stabilized at a lower level for the past few years. Quiznos has filed for bankruptcy, USA Today reported, and could close many of its 2,100 stores. Sbarro which operates pizza and Italian restaurants in malls, is planning to close 155 locations in the United States and Canada. That means nearly 20 percent of Sbarro’s will close. The chain operates around 800 outlets. Ruby Tuesday announced plans to close 30 restaurants in January after its sales fell by 7.8 percent. The chain currently operates around 775 steakhouses across the US. #5 J.C. Penney has been dying for years, and it recently announced plans to close 33 more stores. But it isn’t just the retail industry that is deeply troubled. All over America we are seeing economic weakness. Abe Gorelick has decades of marketing experience, an extensive contact list, an Ivy League undergraduate degree, a master’s in business from the University of Chicago, ideas about how to reach consumers young and old, experience working with businesses from start-ups to huge financial firms and an upbeat, effervescent way about him. What he does not have — and has not had for the last year — is a full-time job. Five years since the recession ended, it is a story still shared by millions. Mr. Gorelick, 57, lost his position at a large marketing firm last March. As he searched, taking on freelance and consulting work, his family’s finances slowly frayed. He is now working three jobs, driving a cab and picking up shifts at Lord & Taylor and Whole Foods. So what does Abe need in order to find a decent job? No, what he needs is an economy that produces good jobs. Sadly, the cold, hard reality of the matter is that the U.S. economy will never produce enough jobs for everyone ever again. The way that America used to work is long gone, and it has been replaced by a cold, heartless environment where the company that you work for could rip your job away from you at a moment’s notice if they decide that it will put a few extra pennies into the pockets of the shareholders. You may have worked incredibly hard for 30 years and been super loyal to your company. All that matters is the bottom line, and in the process the middle class is being destroyed. But by destroying the middle class, those corporations are destroying the consumer base that their corporate empires were built upon in the first place.